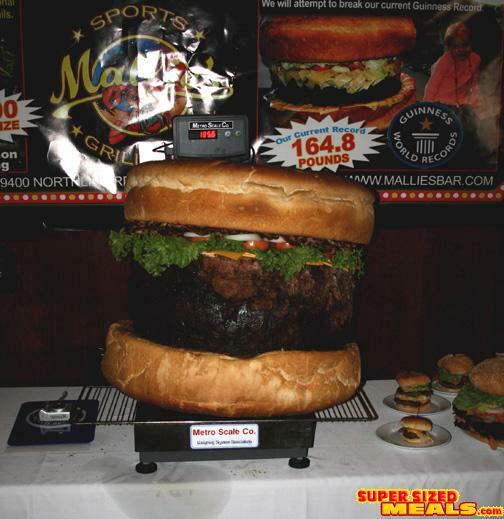 Not content with already having the title for the World's Largest Hamburger, Mallie's Sports Bar & Grill wanted to make sure they had the title well and truly wrapped up. 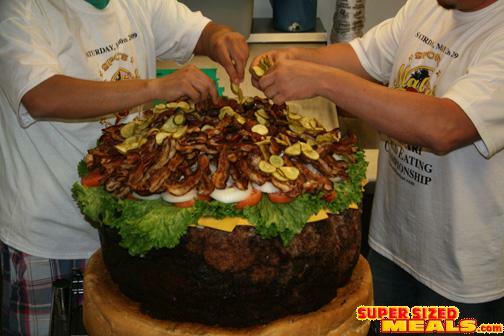 And to lock this in, they build a burger weighing in at 185.6 lbs, beating the old Mallie and Guinness record by over 20 pounds of 164.8 lbs! And for only $499, you too can have one of these all to yourself. 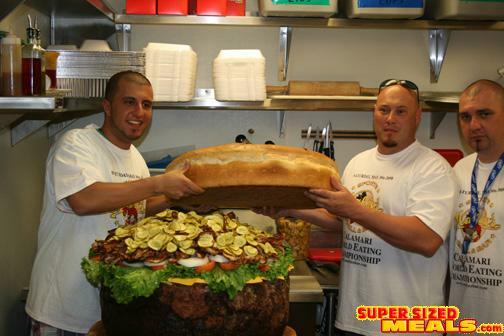 Well, you might want to bring some friends along to help finish it! 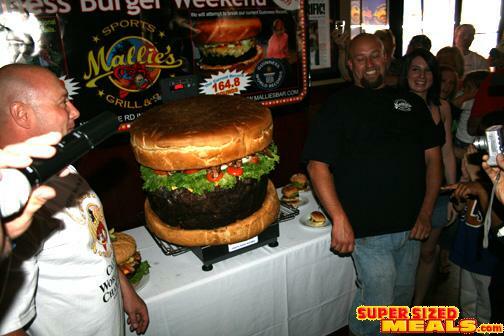 If you know anything about Mallie's Sports Grill, you know that they go BIG or go home. 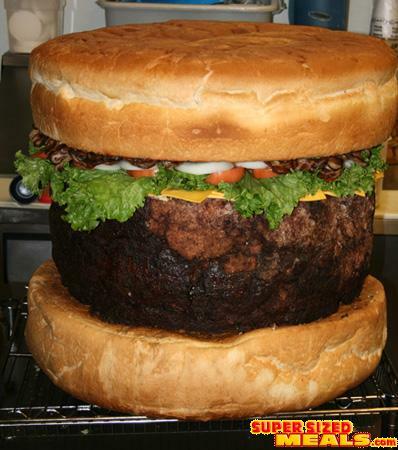 Additionally though we are never content with just being on top so that is why this past weekend we made history once again by re-breaking our very own Guinness World Record for the Biggest Burger on the planet. 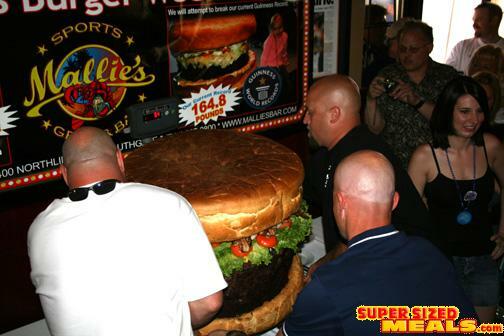 In front of a capacity crowd, Mallie's put out on display the all new world's record burger weighing in at an unbelievable weight of 185.6 lbs, beating the old Mallie and Guinness record by over 20 pounds of 164.8 lbs. 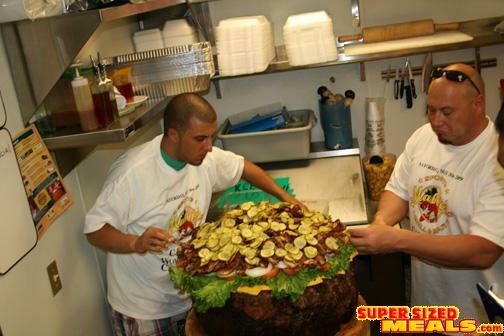 As the kitchen doors swung open and Steve Mallie and Mike Berry started to roll out this enormous specimen known on Mallie's menu as the Absolutely Ridiculous Burger you could feel the excitement in the air... Making it's way down the runway toward the official scale as 100 hundreds on-lookers took pictures and recorded video. 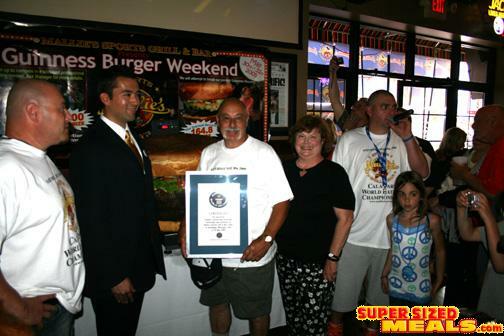 The weigh in just moments away was being overseen by Danny Gurton of Guinness World Records himself. The last few steps before being hoisted up to the scale for weigh in received a thunder of cheers from fans and friends through out the restaurant. 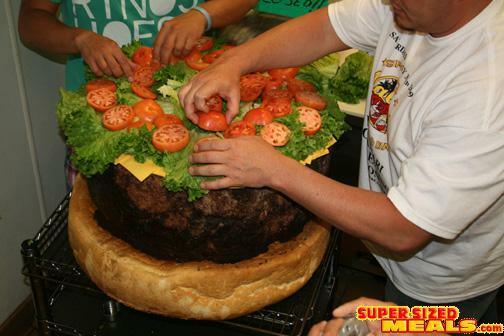 It was time to determine the new Guinness World Record for the world's biggest burger. 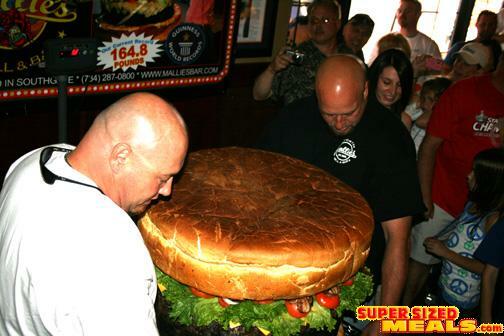 Steve and Mike, with a firm grip lifted the burger up on onto the scale that was officially calibrated by Danny from Guinness and Rick from Metro Scale. 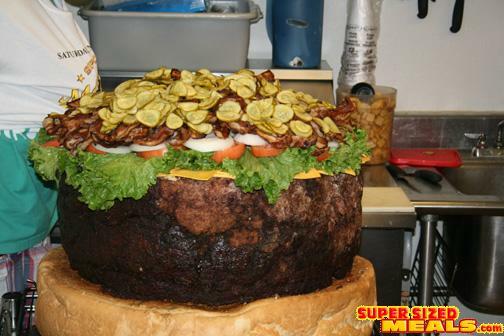 The moment of truth was upon us... the burger as it sits atop the scale settles in at 185.6 lbs... 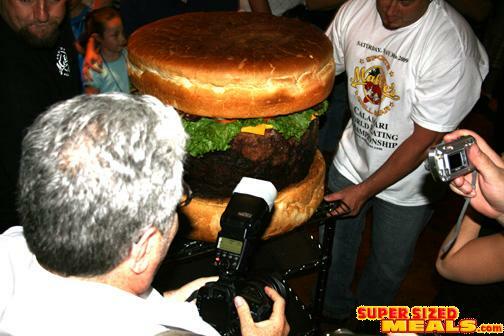 The weight is announced and the crowd erupts with applause... A new record has once again been set. 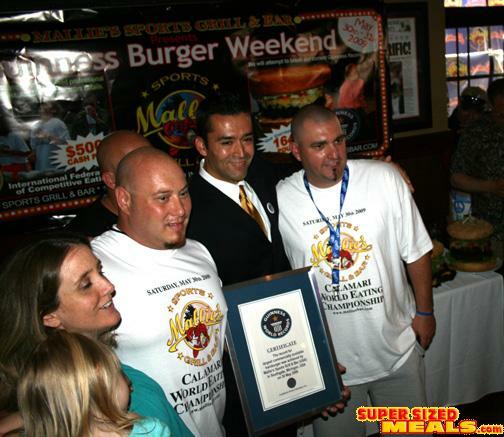 It's official... Mallie's Sports Grills New Guinness World Record for the Biggest Burger.